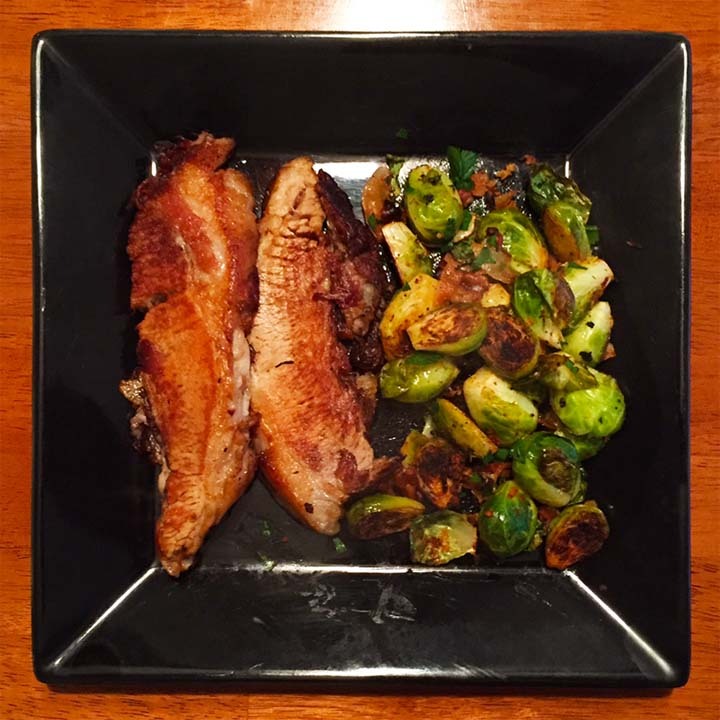 Beer Braised Pork Brisket and Brussels Sprouts with Jowl Bacon | Jouer avec le feu. I’ve been wanting to try out the brisket recipe that I did back in September but with a Pork Brisket instead. I also wanted to use a bottle of the Fatali Four from Upright Brewing – a Belgian ale with fatali chiles – that I had used in my attempt do make Corned Pork. And since I had to go to Tails & Trotters to get the Pork Brisket, I picked up some Jowl Bacon to use in my Brussels Sprouts. I decided to go with last year’s bottling of the Flanders Red from pFreim.